Twelve professional printmakers, members of Inkmasters Cairns Inc, have come together to create an exhibition called Impress: Body to Body. 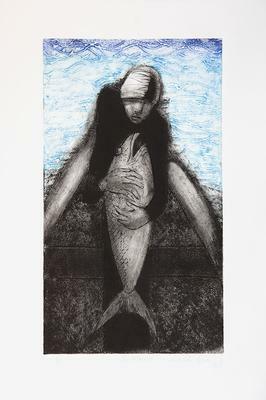 It consists of two new editioned prints from each artist in a wide range of printmaking disciplines - both traditional and contemporary - including etching, linocuts, woodcuts, screenprints and archival pigment prints. 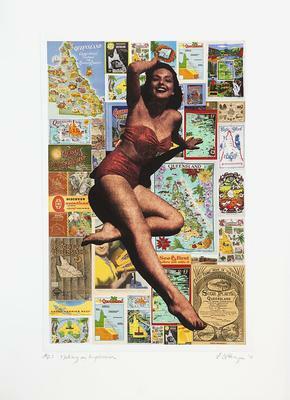 The artworks are unified by the theme of ‘life in tropical far north Queensland’. They point to the diversity of cultural influences in our region, and to the creative working relationships between mainstream and indigenous artists. The artists are Anna Eglitis, Christine Eyres, Margaret Genever, Elizabeth Hunter, Laurel Mackenzie, Glen Mackie, Justin Majid, Arone Meeks, Billy Missi, Hannah Parker, Brian Robinson, and Sasi Victoire. The collection was presented at Impact 7, the international multidisciplinary printmaking conference at Monash University Melbourne, in Oct 2011 and then at Cairns Regional Gallery and Tablelands Regional Gallery before travelling to Perc Tucker Regional Gallery in Townsville. 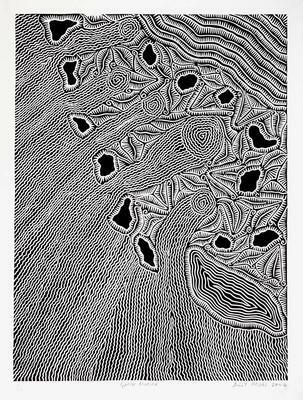 As the title suggests, this exhibition intends to “impress” the public by celebrating far north Queensland through the eyes of its printmakers. Making an “impression” is also a traditional printmaking term for transferring ink from one surface (plate, block or stone) to another (paper) – in fact, from one body to another. 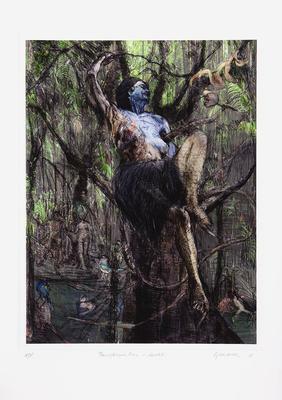 The Impress: Body to Body collection was the first project of Inkmasters Cairns Inc, a group formed to further the interests of a printmakers in far north Queensland. The impetus for the collection was to raise the profile of printmaking, demonstrating the dynamism and rigor of artists in this region and highlighting the value of original prints as affordable art objects for collectors. The 24 works on display are available also as a complete, boxed portfolio collection.